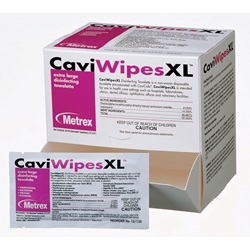 CaviWipes XL multi-purpose disinfectant wipes measuring 10 x 12 inches. Manufactured by Metrex Research. 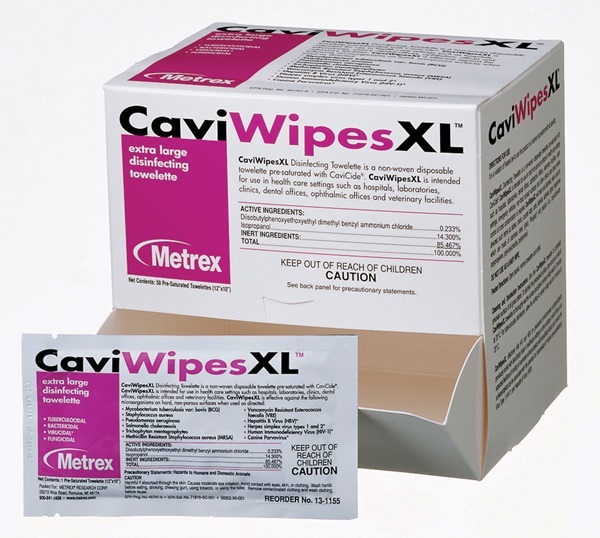 Comes 50 individually wrapped wipes per box. Effective against both TB and HBV. Towels stay fully saturated and will not dry out during use. Sturdy, durable, non-woven towelette will not bunch up during use.